Three doctoral students in the Department of Global and Sociocultural Studies have organized a half-day public forum on immigration reform in collaboration with the Steven J. Green School of International and Public Affairs. The students hope the event, “Forum for Inclusive Immigration Reform,” will shed light on the real-life stories behind the immigration debate and plan to produce policy recommendations to share with local and federal officials. We asked the students to tell us more about their research – and why they decided to organize an event around this issue. Maguire (right, behind desk) graduated from Mexico’s Isla Mujeres Ethnographic Field School in 2014. My research investigates how changing immigration policies and laws are affecting immigrant communities in Miami, specifically how recent immigrants are adjusting to their new environments, including their abilities to obtain housing and jobs. I became interested in immigration studies growing up in Jackson Hole, Wyoming, during the early 2000s. I lived through a major demographic shift in the area, with many immigrants from Mexico and Central America moving to and working in a majority white town. As a child, that’s not what you notice. We were all just kids who played sports, ran around in the woods and whose parents picked them up from school every day. It was not until later, when people taught us about things like how to conceptualize “the other,” that we realized the broader impacts of the changes we witnessed in childhood. 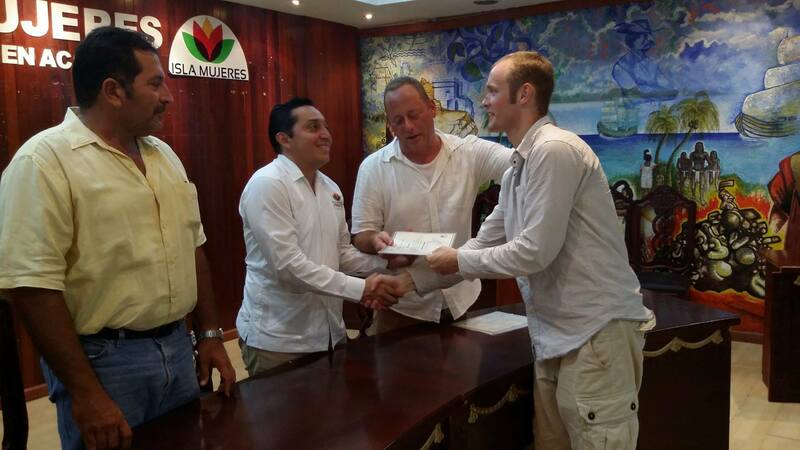 The most fundamental shift in my thinking about how and why people decide to leave the country they were born in and come to the United States happened at the Isla Mujeres Ethnographic Field School (IMEFS) in Mexico. At the IMEFS, I conducted research that would ultimately lead me to apply to FIU’s Department of Global and Sociocultural Studies. My research explored the historical and cultural relationship between an island off Mexico’s Yucatán peninsula, Isla Mujeres and Cuba. One of the most surprising connections I found was Isla Mujeres’ position as part of a smuggling route for Cubans making their way to the United States. It was after completing this work that I decided I would pursue immigration as a career and add my voice to a public debate that seems to happen all too often from only one perspective: how it impacts the United States. I was inspired to help create the “Forum for Inclusive Immigration Reform” because of my experiences with people immigrating to and seeking refuge in the United States; because the immigration system in the United States is so clearly broken; and because I view recent changes in immigration enforcement and the immigration system as harmful to immigrant communities and detrimental to our nation. Throughout my life I have seen how immigration has been a positive force in many communities, even all the way out in Wyoming. Through this event, I hope we can influence lawmakers to adopt paths forward for undocumented citizens and temporary status holders; reform the judicial and detention systems for immigrants; broaden visa opportunities; create paths for those who fall out of legal status while in the United States to regain proper documentation; and change the general exclusionary nature of the immigration system in the United States today. My research focuses on how child and youth migration is experienced and regulated. I came to migration studies after spending some time organizing for the Dream Act in 2010-2012. 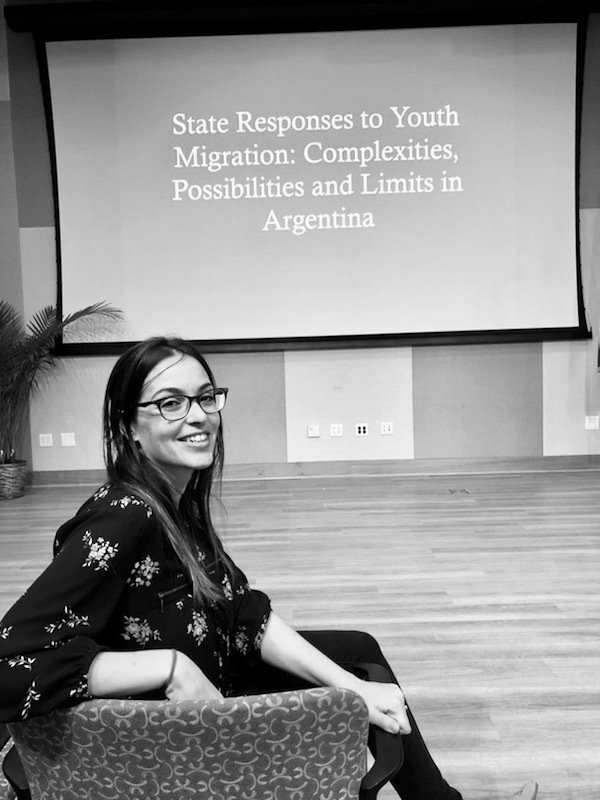 I joined FIU’s Department of Global and Sociocultural Studies in 2014 with the aim of expanding my research on youth migration to include a Latin American context. My dissertation, which I will be completing in the spring, looks at youth migration in Buenos Aires, Argentina, examining the extent to which notions of protection, mobility and belonging become filtered through exclusionary narratives of nationhood, despite Argentina’s human-rights based immigration policies. Since Spring of 2017, I have been a volunteer with Friends of Miami-Dade Detainees, a Miami non-profit running a regular visitation program at Krome Service Processing Center, one of the largest immigrant detention centers in the country located less than eight miles from FIU’s main campus. 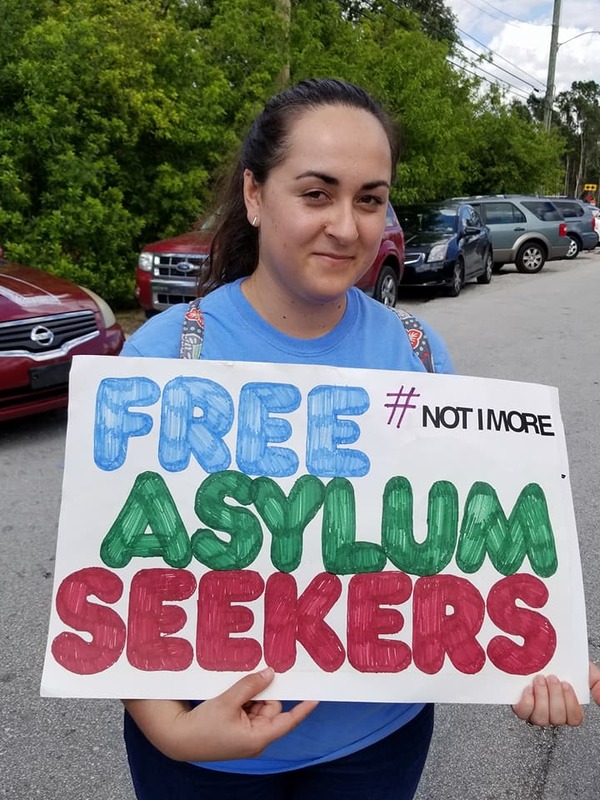 It was during visits with detained immigrants at Krome that the structural injustices embedded within the U.S. immigration system became most apparent to me and painful to witness. For this reason, I believe a forum dedicated to thinking critically about immigration reform is a necessary and important event to host at FIU. I am proud that our campus can serve as a gathering point for academics, community organizers and professionals dedicated to finding long-term solutions to the issues impacting immigrant communities. As a cultural geographer, my research focuses on the well-being of men transferred between immigrant prisons in the United States. While finishing my master’s in geography at FIU, I was invited to work on a research project funded by the National Institute on Drug Abuse, “Migration, Tourism and the HIV/Drug-Use Syndemic in the Dominican Republic” with Professor Mark Padilla. While on this project, I mapped out participants’ movements associated with tourism in the Dominican Republic and their migration both domestically and internationally. A pattern emerged amongst the participants: most had been deported from the United States and had spent time in multiple immigrant prisons before being deported. This sparked my curiosity and I started researching detention in the United States. Through this research I discovered and started volunteering with the non-profit Friends of Miami-Dade Detainees, a visitation program at the Krome Service and Processing Center in Miami. I have witnessed the negative impacts imposed on immigrants by the broken U.S. immigration system. I’ve witnessed countless transfers and how these abrupt movements impact those detained, both mentally and physically. It was from these experiences that my research interest grew and pushed me to pursue my Ph.D. When I was invited to participate in the creation of the “Forum for Inclusive Immigration Reform,” I could not have been more willing to take part in a discussion that I believe is long overdue. I firmly believe that it will only be through discussions across disciplines and political aisles that a new comprehensive immigration reform will emerge and hopefully deal with the pressing immigration issues of today. The Forum for Inclusive Immigration Reform, part of the Dorothea Green Lecture Series, will be held Friday, Oct. 12, from 1 p.m. to 5:30 p.m. in the Ruth K. and Shepard Broad Auditorium, SIPA 125. Keynote address by former Assistant Secretary of State Anne C. Richard, will begin at 1:15 p.m. The event is co–sponsored by the Kimberly Green Latin American and Caribbean Center, Department of Global and Sociocultural Studies, Department of Religious Studies and the Jack D. Gordon Institute for Public Policy. It is presented in collaboration with the following community organizations: Americans for Immigrant Justice; Florida Immigration Coalition; Catholic Legal Services; South Florida Interfaith Worker Justice; United We Dream; National Organization for Women (FIU); Venezuela Awareness and Raíces Venezolanas; Friends of Miami-Dade Detainees.